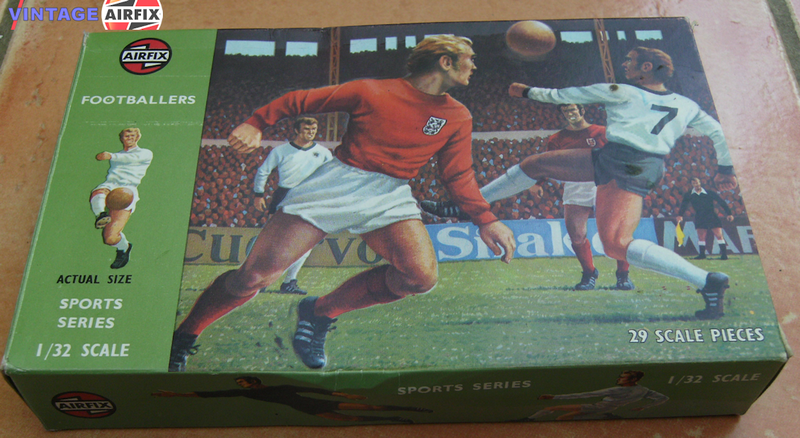 This new set of model figures will enable the enthusiast to stage his own football match. There are 29 pieces in the set - 24 players, in various poses, 2 trainers, 2 linesmen and a referee. In addition there are 2 footballs. We leave the choice of team colours to you as all the figures are unpainted.